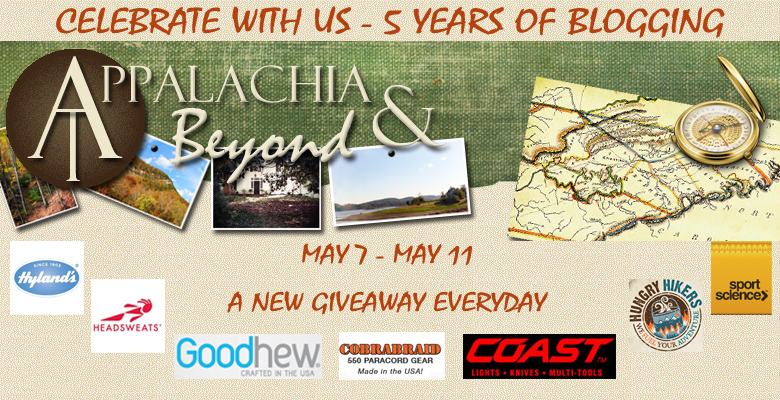 Welcome everyone to Day 2 of our Blogiversary Giveaways. Today we are thinking about food and how good it is after a tough day hiking, backpacking, or even camping. We have a few great food items which are perfect for the pack or while camping. A special thanks goes out to Hungry Hikers and Vasque Footwear for sponsoring today's prizes. What's up for grabs you ask? Well let's get to it. 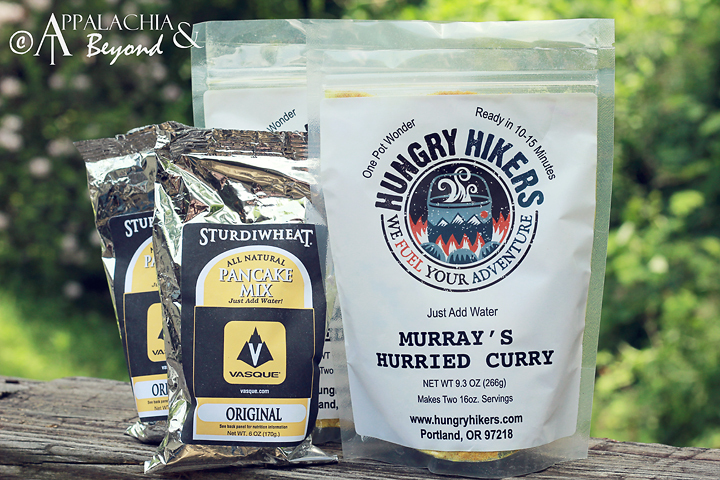 2 Hungry Hikers - Murray's Hurried Curry dinners. These are simple to cook meals that provide two servings per bag and recently won Backpacker Magazine's Editor's Choice Award in the backpacking food category. 2 Packages of Sturdiwheat All Natural Pancake Mix (Original Flavor). *Provided by Vasque Footwear* Each package will make up to __ pancakes. Let us tell you from experience, these are quite tasty and are easy to make. Just add water and pour into a hot skillet or on your camp griddle. So that's the package for today. Time to start clicking on the Rafflecopter widget below to get those entries in. You have until Monday May 14th 11:59pm EST to get entered. We will pick a winner on the following day.